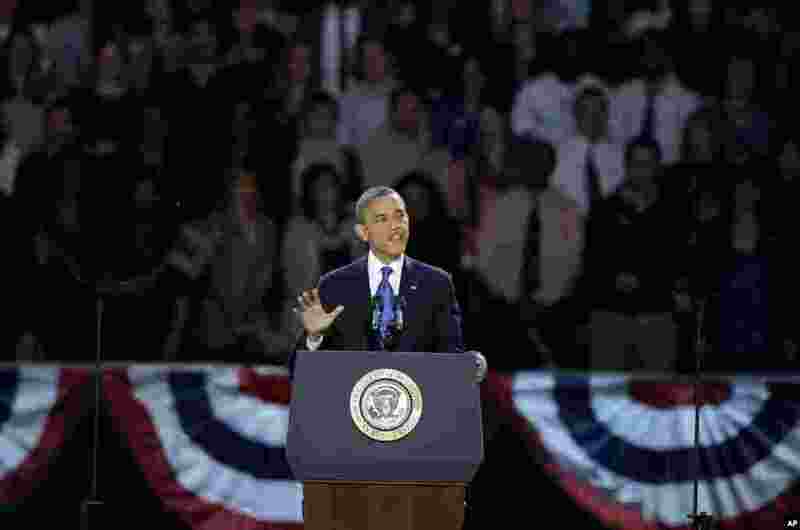 President Barack Obama has defeated his Republican challenger Mitt Romney to win a second and final term in office. 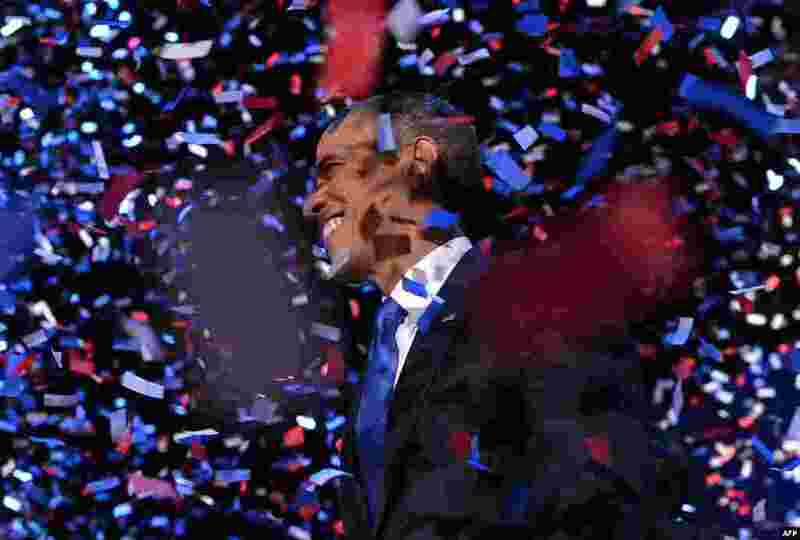 1 US President Barack Obama celebrates after delivering his acceptance speech in Chicago on November 7, 2012. 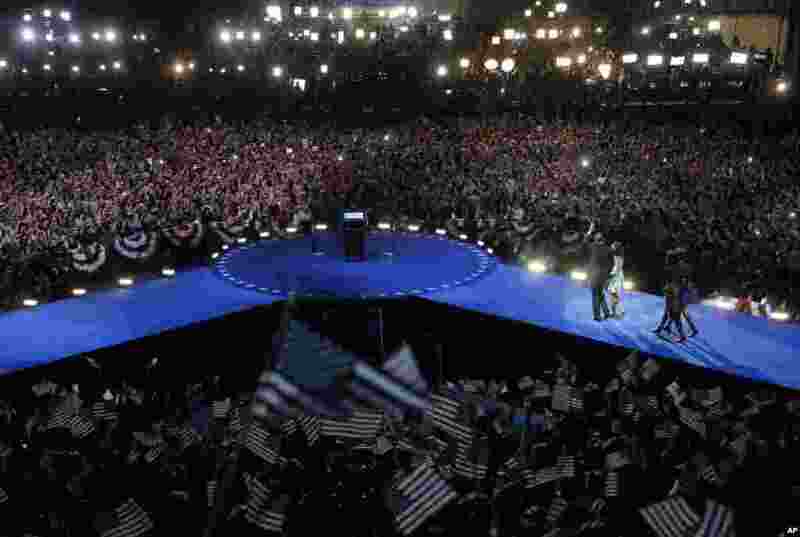 2 President Barack Obama speaks at his election night party November 7, 2012, in Chicago, Illinois. 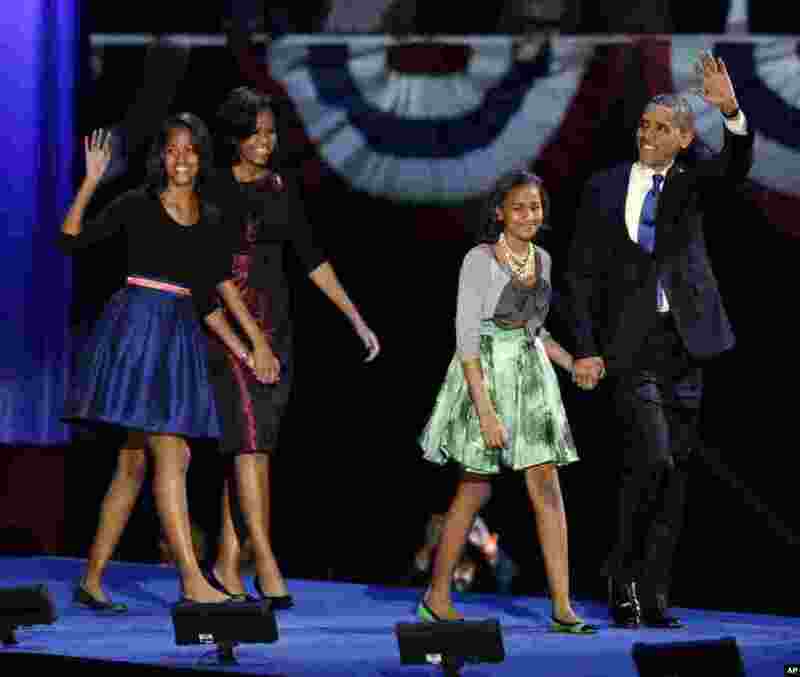 3 President Barack Obama walks on stage with first lady Michelle Obama and daughters Malia and Sasha at his election night party November 7, 2012, in Chicago, Illinois. 4 President Barack Obama waves as he walks on stage with first lady Michelle Obama and daughters Malia and Sasha at his election night party November 7, 2012, in Chicago, Illinois.